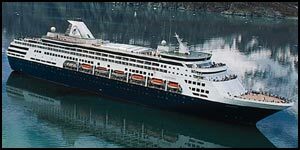 Holland America Line is known as one of the most well-respected cruise providers in the industry. Leave on a vacation with Holland America Line and expect only the best in luxury on-board amenities, a catering service staff, and a truly impressive fleet. Red Hot Cruises includes a huge assortment of cruises with Holland America Line at fantastic rates. Below, you can browse all destinations, departures and ships available with Holland America Line. Vacancy is often limited, so buy online with us as soon as possible to grab your cruise with Holland America Line before they are gone. Get a hold of us at (844)235-4177 or email us to talk with a cruise specialist and we will help you find what you’re looking for.